Paid family leave in New York goes into effect on January 1, 2018. And those who have kids in 2017 may take paid family leave in 2018, as long as they take leave within a year of the birth. In response to the many questions on various parkslopeparents listserves, I put together the below question and answer. Molly Weston Williamson, a staff attorney at A Better Balance (http://www.abetterbalance.org/), helped me with this. If you are an employee or independent contractor and have additional questions not answered below, I recommend you call ABB (212-430-5982) or the state’s paid family leave hotline (844-337-6303). Employers, including household employers of nannies or housekeepers, should also call the state hotline for more information. I will also continue to work with Susan and ABB to answer additional questions. Hope this helps. The new law is very exciting but, as with anything new, a bit confusing. The law guarantees workers time off to bond with a new child (including adopted and fosterchildren); care for a seriously ill family member (child, parent, parent-in-law, spouse, domestic partner, grandchild, or grandparent); or address certain military family needs. If you’re employed outside the government in New York State, either full-time or part-time and have worked for your employer for 6 months, you’re probably covered under the law, regardless of how many people work for your employer. The law applies regardless of citizenship or immigration status. While almost all employees for private (non-government) employers are covered, the law contains some exceptions. For example, teachers at private schools and certain other employees of religious, charitable, or educational non-profits are not automatically covered. No government employees are automatically covered, but public sector employers, including the state of New York, can opt in to coverage. Public sector unions can negotiate to opt in to coverage through the bargaining process. Employers of a domestic worker who works at least 40 hours per week for that employer must provide coverage. Employers of a domestic worker who works less than 40 hours per week for that employer may provide coverage. While most part-time private employees are covered after they work 175 days, domestic workers are not required to be covered unless they work at least 40 hours per week for one employer. Domestic employers can get coverage by buying a disability (TDI)/paid family leave insurance policy, either from a private insurance carrier or from the state insurance fund (https://ww3.nysif.com/). If you already provide temporary disability insurance (“TDI), your provider should have already contacted you to add on a rider for paid family leave. Failure to purchase the required insurance may result in serious penalties and is actually a criminal offense, punishable by up to a year’s imprisonment. Domestic workers who lack work authorization and/or work "off the books" are still entitled to paid family leave if they work 40 hours per week. In 2018, you will be able to take up to eight weeks of family leave. Each year after that, the number of weeks available will be increased up to 12 weeks in 2021. In 2018, you will receive half (50%) of your average weekly pay, up to about $650 per week. Each year after that, you’ll be eligible to receive a greater percentage of your pay while on leave. Yes. You have the right to return to work at the same or comparable job, and you cannot be discriminated against for taking leave under the New York paid family leave law. (Other laws may also protect you from discrimination.) You also have the right to keep your healthcare coverage under its current conditions. If you’ve worked 20 or more hours per week for your employer for at least six months, you can start receiving benefits on January 1, 2018. Otherwise, if you work 20 or more hours per week, you may start receiving benefits six months after your start date. Part-time workers who worker less than 20 hours per week may need to work for slightly longer (175 days) to become eligible. If my child was born/adopted in 2017, may I take NY paid family leave in 2018? What if I already took leave under the federal Family Medical Leave Act (FMLA)? A parent who welcomes a new child before January 1, 2018, can take paid family leave to bond with that child after January 1, 2018, so long as the leave is taken with 12 months of the child’s birth or placement. In general, paid family leave and FMLA must be taken concurrently. However, sometimes they can’t be taken concurrently--for example, for someone who takes FMLA in 2017 and paid family leave in 2018 (since that person could not have taken paid family leave in 2017). This means that there may be some parents who are able to take FMLA to bond with a new child in 2017 and then take paid family leave to bond with that same child in 2018. The 8 weeks of NY paid family leave is available even to those who received more than 8 weeks of paid leave in 2017. Are freelancers and other independent contractors covered? In general, the law does not give self-employed people (including freelancers) an automatic right to coverage. However, self-employed workers who wish to do so can choose to voluntarily opt in by purchasing a paid family leave insurance policy (since paid family leave coverage is paid for through designated employee contributions, rather than a payroll tax). There are some specific rules around how that opt in process works and, if you are currently self-employed, there are major advantages to opting in by January 1, 2018. Not all insurance providers have policies for the self-employed, but the state insurance fund (https://ww3.nysif.com/) is one of the providers offering the coverage. For more information see: https://www.abetterbalance.org/family-leave-works-for-self-employed-workers/ I would encourage anyone with specific questions not answered at the above link about how the coverage works to contact A Better Balance directly at 212-430-5982. Also note that many people are mis-classified as independent contractors when they should be W-2 employees. Part-time W-2 employees are entitled to paid leave if they meet certain requirements. See “Am I covered?” above. Part time workers are covered by the new law. If you usually work 20 or more hours per week, you qualify for paid family leave when you have been employed for 26 weeks (or about 6 months) by your employer, unless you are a domestic worker (see below). If you usually work less than 20 hours per week, you qualify for paid family leave after working 175 days for your employer, unless you are a domestic worker. You can start receiving benefits once you meet these qualifications, or on January 1, 2018, whichever comes later. Part-time workers are entitled to the same number of weeks of leave as a full-time worker, but if you take leave intermittently (rather than all at one time) the number of days of leave you can take may depend on your work schedule. What if I work more than one job? If you have multiple covered employers, you are eligible for paid leave from each employer once you have worked the required amount of time for that employer (26 weeks or 175 days depending on your hours). If you have a qualifying need, for example if you have a new child, you can choose to take leave from all or only some of those employers. However, if you want to take leave from more than one employer for the same purpose (e.g. to bond with a child) you have to take leave from both employers at the same time. In addition, if you continue to work for one or more employers while taking paid family leave from another employer, specific rules apply about how and when you can work for the employers you are not taking leave from. May I use paid family leave for bonding intermittently (or working part time)? Yes. 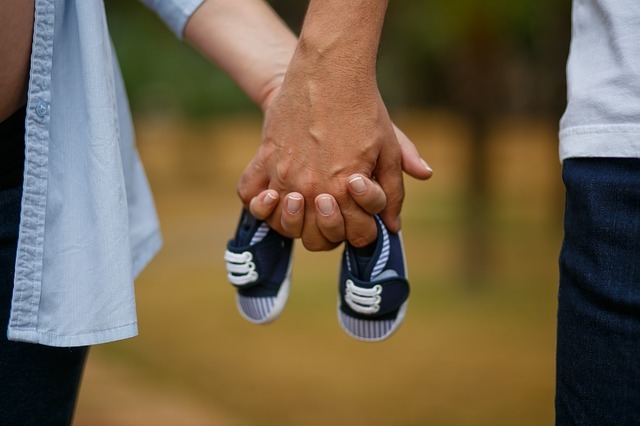 In general, a parent of any gender can take paid family leave to bond with a new child at a time of the parent's choosing within 12 months of the child’s birth or placement and paid family leave may be taken intermittently in units as small as one day. This means that, for example, you could take one day of paid family leave to bond with your child per week over the course of several weeks, so long as you took that time within 12 months of the child’s birth or placement. You will need to let your employer know in advance that you will be taking paid family leave (if possible, at least 30 days in advance) and specific rules apply regarding notifying your employer if you are taking leave intermittently. What if my employer is based in another state? In general, whether you are eligible for paid family leave depends on where you physically work, rather than where you live or where your employer is based--if you work in New York State and do not work for the government, you are probably covered. If you are not sure whether you should be covered, contact A Better Balance directly at 212-430-5982. May I take paid family leave and collect temporary disability insurance (TDI)? fact sheet or contact A Better Balance at 212-430-5982 for more information. Paid family leave is funded by modest employee contributions deducted from employees’ paychecks. For 2018, these deductions will equal 0.126% of employees’ wages, up to a maximum of $1.65 per week. These deductions will be used only to pay for paid family leave coverage as required by law. Payments for TDI of up to 60 cents per week are also deducted in accordance with state law. May I substitute accrued paid time off for state paid family leave? Employees may, but are not required to, substitute accrued paid time off (“PTO”) or any other applicable type of fully paid time off for some or all of the leave to which they are entitled under the state paid leave policy, subject to the terms and conditions of such other paid time off policy. Employees who choose to do so will still receive all applicable rights and protections under the state leave. If employees elect to take paid time off at 100% of salary in lieu of state paid family leave benefits, the Company may request reimbursement from its insurance carrier for any paid family leave benefits that otherwise would be due to the employee. May I take state 8 weeks paid family leave and 12 weeks under the FMLA for a total of 20 weeks? Generally no (unless you took the FMLA leave in 2017 or took FMLA leave for your own health condition). If an employee covered by the federal Family and Medical Leave Act (FMLA) takes state paid family leave for a purpose and under circumstances also covered by the FMLA, the Company may designate that period of leave as leave under the FMLA (i.e. may require that PFL and FMLA leave be taken concurrently). If the Company chooses to do so, the Company will notify the employee in writing, as required by law. They have been employed by their employer for at least 12 months. They have worked for that employer at least 1,250 hours in that last 12 months. They work for an employer with at least 50 employees with a 75-mile radius of the employee’s worksite. Disclaimer: The above are the general answers to common questions, but there are exceptions. These materials thus do not constitute legal advice. For specific questions, please contact ABB (212-430-5982 or www.abetterbalance.org), the state (844-337-6303 or https://www.ny.gov/programs/new-york-state-paid-family-leave), or an attorney. ABB will be creating updated materials, so join ABB’s mailing list (http://www.abetterbalance.org/mailing-list).